Scientists have reported they finally have "good evidence" for Planet X. It may be a true ninth planet on the fringes of our solar system. The gas giant is thought to be almost as big as Neptune and orbiting billions of miles beyond Neptune's path. That's distant enough to take 10,000 to 20,000 years to circle the sun. 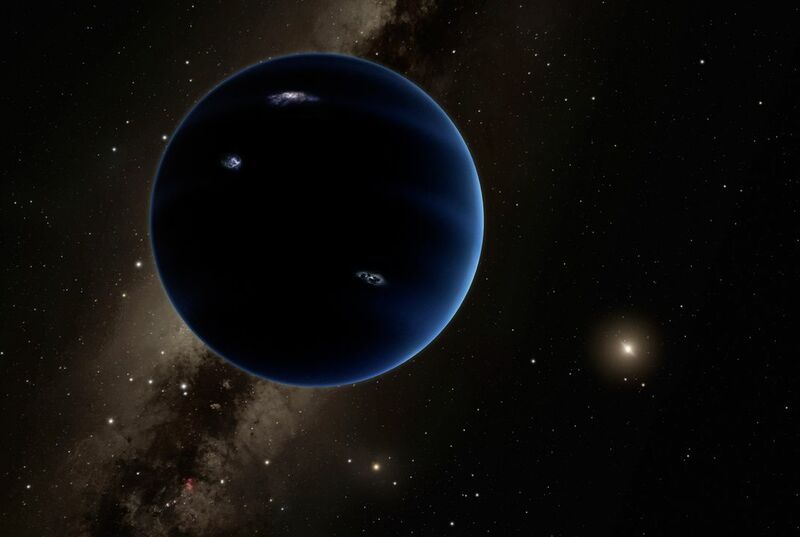 This Planet 9, as the two California Institute of Technology researchers call it, hasn't been spotted yet. They base their findings on mathematical and computer modeling. They anticipate its discovery via telescope within five years or less. The two reported on their research Jan. 20 in the Astronomical Journal because they want people to help them look for it. "We could have stayed quiet and quietly spent the next five years searching the skies ourselves and hoping to find it. But I would rather somebody find it sooner, than me find it later," astronomer Mike Brown told The Associated Press. "I want to see it. I want to see what it looks like. I want to understand where it is, and I think this will help." His colleague in this latest Planet 9 report, also from Caltech in Pasadena, is planetary scientist Konstantin Batygin. "For the first time in more than 150 years, there's good evidence that the planetary census of the solar system is incomplete," Batygin said. He was referring to Neptune's discovery as Planet 8. The two shaped their prediction on the fact that six objects in the icy Kuiper Belt, or Twilight Zone on the far reaches of the solar system, appear to be influenced by only one thing: a real planet. Brown actually discovered one of these six objects more than a decade ago. It is called Sedna, a large minor planet way out there on the solar system frontier. "This is a prediction. What we have found is a gravitational signature of Planet 9 lurking in the outskirts of the solar system,' Batygin said. "We have not found the object itself," he stressed. He said that the actual discovery, when it happens, will be "era-defining." Added Brown: "We have felt a great disturbance in the force." Depending on where this Planet 9 is in its egg-shaped orbit, a space telescope may be needed to confirm its presence, the researchers said. Or good backyard telescopes may spot it, they noted. That is if the planet is relatively closer to us in its swing around the sun. It's an estimated 20 billion to 100 billion miles from us. The Caltech researchers prefer calling it Planet 9, versus the historical term Planet X. The latter smacks of "aliens and the imminent destruction of the Earth," according to Brown. The orb - believed to be 10 times more massive than Earth and 5,000 times more massive than dwarf Pluto - may well have rings and moons. The last real planet to be discovered in our solar system was Neptune in 1846. Pluto, discovered in 1930, was once the 9th planet but is now considered a dwarf planet in the Kuiper Belt. It was visited by Earth for the first time last July. NASA's New Horizons spacecraft accomplished the first-ever flyby. How much did it snow? We'll never know. Why wasn't this planet discovered before? Cause based on the research the plant 9 may not be a planet or it might it bigger then neptune and it's super far away from us and orbits the sun 10,000 to 20,000 years. This planet wasn't discovered before because it is too far away from Earth. "It's an estimated 20 billion to 100 billion miles from [Earth]." I found this article interesting because I like astronomy and the discovery of a new planet would be cool. I think this is cool because we might actually find Planet 9 yet. 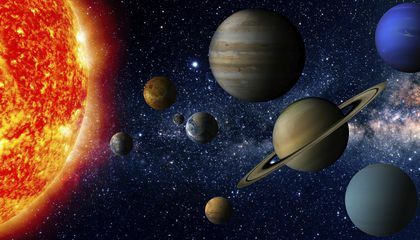 It is a planet because it is five thousand times bigger than Pluto and ten times bigger than Earth. Astronomers must have a really good imagination because they already managed to make a model of how it would look like. It has been 150 years since the last planetary discovery. Answer: This planet has not been discovered before because it has been 150 years since the last discovery. This planet has been discovered before but it didn't have much proof of it and they didn't tell anyone about it because it could have a possibility of ending the world because it has a missive gravitational pull that would be too strong. But now they have found more proof and have nearly been able to see it and fringes our solar system as it states in the first paragraph "Scientists have reported they finally have "good evidence" for Planet X. It may be a true ninth planet on the fringes of our solar system. The gas giant is thought to be almost as big as Neptune and orbiting billions of miles beyond Neptune's path. That's distant enough to take 10,000 to 20,000 years to circle the sun." This says that the planet is not easily seen because it is so far away from us because it takes 10,000 to 20,000 years to orbit. I think this is a good article because I am always wondering about new planets and what is out in the infinity space that is out there. But I have seen evidence of this planet before and my friend has known about it for years. This planet wasn't discovered before because scientists did not have the technology they have now. Today, technology is more advanced than it has ever been. The last time they discovered a new planet was in 1930 and that was 86 years ago. In paragraph three the article says "This Planet 9, as the two California Institute of Technology researchers call it, hasn't been spotted yet. They base their findings on mathematical and computer modeling. They anticipate its discovery via telescope within five years or less." These scientists discovered this planet through computers and other programs. 86 years ago they did not have this type of technology. I really hope that they actually find this planet with telescopes before 5 years because that is a very long time for people to wait to see real pictures. This new planet is apparently "an estimated 20 to 100 billion miles from us". Before this recent era where the only way to identify planets to spot them this planet 9 would be way to far out for us to glimpse it. But with this era's computer simulation and advanced technology we can identify the signs of large objects by their gravitational force exerted upon other objects. This new planet is certainly a scientific breakthrough, I encourage further research into this issue. This planet, Planet 9 was not discovered before because it has a much longer orbit than any other planets. In paragraph, 2 it states that, "The gas giant is thought to be almost as big as Neptune and orbiting billions of miles beyond Neptune's path. That's distant enough to take 10,000 to 20,000 years to circle the sun." Knowing that Neptune is the biggest planet in our current solar system, and it has a pretty long orbit around the sun, time wise, then knowing that Planet 9 is almost the size of Neptune or bigger than Neptune, this means that it has an extremely long orbit. Therefore, Planet 9 was not discovered before because it has an extremely long orbit around the sun. This article surprised me because I can not believe there could possibly be another unknown mega planet out there. This article really made me wonder what else there is that we are un aware of. The planet was never discovered before because people before this time didn't have the technology to identify the signs of a ninth planet, nor could they confirm it. The article states: "The two shaped their prediction on the fact that six objects in the icy Kuiper Belt, or Twilight Zone on the far reaches of the solar system, appear to be influenced by only one thing: a real planet." Before relatively presently, no or hardly any telescopes were as close to as powerful as the ones used to study the edge of the solar system, up to those six objects. Only 21st century technology could've possibly acquired such a long distance of range. People not in the present generation thereby not having that insight of those celestial bodies wouldn't enable them to generalize that there would be a ninth planet. The article claims the planet was found by its gravitational affect on the objects. This means there can't be observable affects leading to judge there would be another planet, not even being able to see those objects that are affected. People not in this day and age, not having enough powerful technology, couldn't have seen the six bodies that were altered by the ninth planet, therefore couldn't have even predicted one. Also, even if they could predict it, they could not confirm it. The article says "Depending on where this Planet 9 is in its egg-shaped orbit, a space telescope may be needed to confirm its presence, the researchers said." Again, people not in our era or time didn't have access to these powerful telescopes to truly even spot the planet. Though, depending on where the planet is in its orbit, the article claims an average telescope may spot it. However, its unlikely, as it takes 10,000 to 20,000 years for it to orbit the sun entirely. If its not in that range, then no one would discover it anytime soon. Also, todays definition of average telescopes are far more different and sophisticated than ones before this time. All in all, back then, people couldn't have even seen this "Planet 9". The article was incredibly mind-blowing, discovering a legitimate "Planet 9" is likely to be in the solar system! It was interesting how scientists discovered it, studying gravitational affects on but only 6 celestial bodies at the edge of it. It's truly magnificent. This planet was not discovered before in the same way that we discovered the planets closer to us than farther. We simply did not have the technology to seek out planets that is so far beyond our reach. But now as we are slowly advancing we may discover that we now only have a fraction of the planets in the suns orbit as our labeled planets.